Is there such a thing as Christmas Land? Yes, it’s the Ore Mountains! The home of lights and a living and breathing tradition. 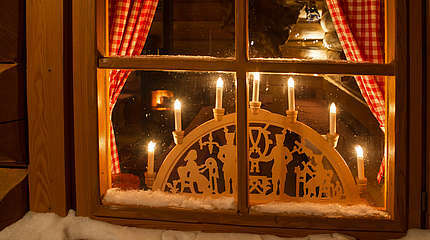 Angels and miners, festive candle pyramids and arches light your way from countless shinning windows. It is home to a Christmas that is more beautiful than you could ever wish for. 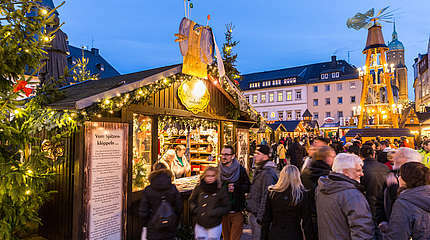 Stroll through the Christmas markets in the Ore Mountains. 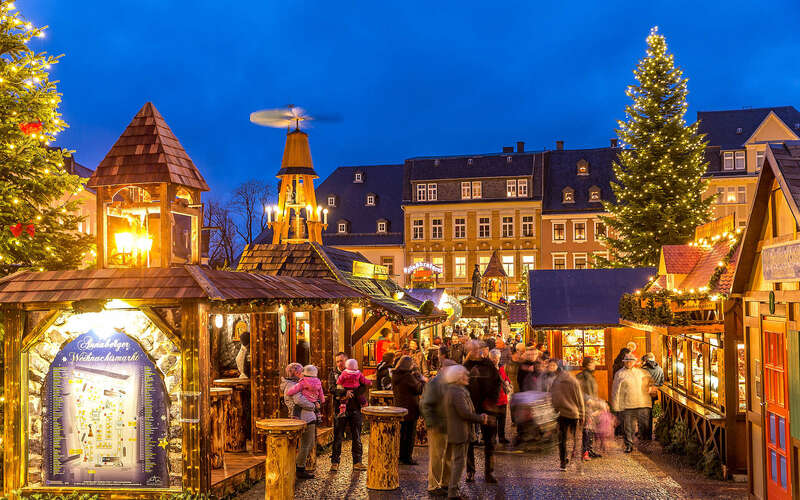 Sing with the miners at the festive last shift before Christmas underground, the Mettenschicht, and enjoy the cosy comfort and warmth of this region with a cross-country tour to see the lights. 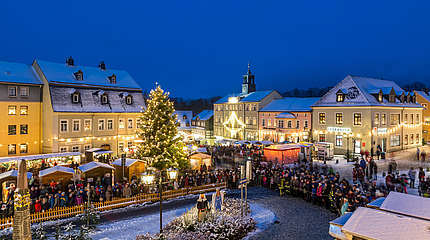 In a nutshell: Christmas magic in the Ore Mountains. An experience you will keep coming back to, even in your dreams.